In the Netherlands, people who have been spraying their lawns and gardens with Roundup will have to find another way to protect their land from pests. Late last year, the Dutch parliament voted to ban the sale of glyphosate-based herbicides to private parties. The ban, under which agricultural use is excluded, was initially proposed several years ago. However, it is thought that Monsanto influence prevented it from taking place at the time. A large factor in the vote is thought to be the Party for Animals, a political party in the Netherlands that places an emphasis on animal rights and welfare and aims to influence and guide political decisions. Their involvement in various matters makes it difficult for parliament to turn a blind eye towards environmental matters such as glyphosate use; this, coupled with an increasing number of citizens who have expressed concerns about health as it pertains to the chemical, led to the decision to ban it towards the end of 2015. As most people are aware, glyphosate, the main ingredient in Monsanto’s Roundup, has been linked to everything from cancer and headaches to skin rashes and mood changes. The Dutch parliament’s decision represents an ideal move that the U.S. should embrace. Unfortunately, we find ourselves stuck in a sad game filled with loopholes, clever wordsmithing and greed. For example, despite the fact that the International Agency for Research on Cancer (IARC), an arm of the World Health Organization, recently released a report stating that glyphosate is “probably carcinogenic to humans,” Monsanto maintains that the product is safe when used as directed by the label. Furthermore, they are adamant that the IARC findings are flawed, saying in a press release that “relevant, scientific data was excluded from review,” among other things. Glyphosate was even discussed during a May 2015 episode of The Doctors in which the IARC report was the topic of one segment. During the episode, 20-year Monsanto scientist Dr. Donna Farmer continually expressed her confidence in glyphosate’s safety for human health, often mentioning that she’s not only a scientist but a mom. “I’ve seen those headlines and I know people have lots of questions,” she said. “I am extremely, highly confident in this product as a mom and then I can back it up as a scientist.” Her statements also included mention of how Germany has found no issues with glyphosate and that IARC also assesses other potential health hazards such as cell phone use and canned pickles. Dr. Farmer stood firm in her views even when Jeffrey Smith, the author of Seeds of Deception, made it clear that Monsanto is to be watched carefully. 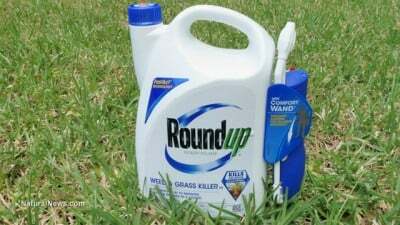 He cited courts in the United States and France that convicted Monsanto for lying about glyphosate levels in soil as well as the fact that the chemical has been linked to causing disruptions in the endocrine system and altering DNA. Many other countries have banned glyphosate. When will the United States follow suit? While issues surrounding glyphosate beyond health concerns persist in the United States — namely getting people to ban it as they have in other countries — some strides, albeit small, have been made. Increased visibility from stories such as the ones on this site as well as on popular shows like The Doctors, coupled with more people voicing their concern in various communities, speaks volumes about the desire for changes to be put in place. Sadly, it would appear that the United States has a long way to go. Apparently, the topic of glyphosate went ignored by Michelle Obama during a recent FDA food label change discussion. Meanwhile, numerous regions have banned the chemical, including Canada, Sri Lanka and Colombia, which recently voted to end the aerial spraying of glyphosate to kill coca plants in the fight on drugs.